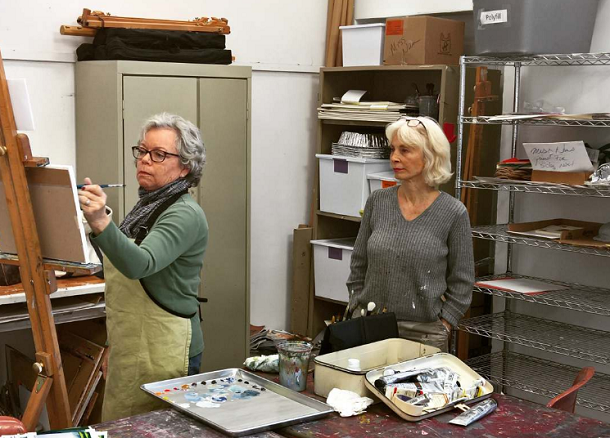 Three-Day Sculpture Workshop at the Toshiko Takazu Studio with Don Fletcher and Studio Artists (Starts June 21, 10 a.m.) Be inspired working in the studio of one of the 20th century’s great ceramic artists. This workshop is an intensive exploration of clay as a medium for sculpture. Students will produce at least one and perhaps several pieces during the first two days. Then, after the works have been bisque-fired by the instructors, students will return for the third day to glaze their sculptures. Sign up! Wine & Design: Paint Party with Linda Schroeder (Friday, July 14, 6 p.m.) Drink creatively and discover your inner artist in a fun and creative atmosphere! Artist Linda Schroeder will take you through the steps of creating your own painting on canvas. The perfect date-night event or a great way for friends to spend an evening. Drink Up -- oops, Sign Up! Silkscreen Printing: Simple and Fun with Stephen McKenzie (Sunday, July 16) You'll be amazed at how fun and easy it is to create gorgeous prints! You will learn two silkscreen methods: hand-cut paper stencils and printing with drawing fluid and screen filler. You'll leave with several completed work and all the skills you need to keep on printing. Register! To find your next creative passion, visit our website for a complete list of classes and workshops for adults. Still looking for the perfect Summer Camp for your child? We have a diverse schedule designed to appeal to all tastes and skill levels. 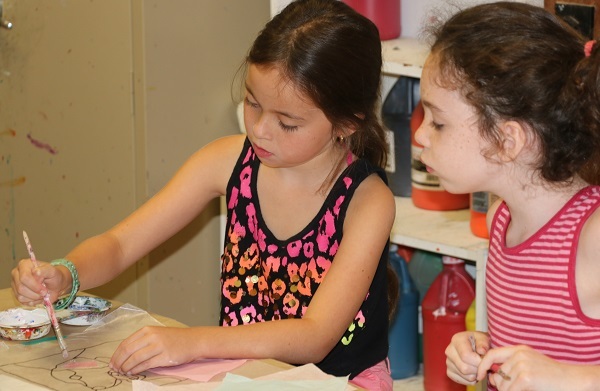 Our camps are taught by professional artists and teachers, ensuring your child will be part of a fun and nurturing environment. Here are a few popular favorites, but to see all our Summer Camps for kids, visit our website!